More than three months after The Office finished out the series with an epic wedding episode that included plenty of tender moments and returning characters, it’s still difficult to believe The Office is over, once and for all. The series may be finished, but Universal Studios Home Entertainment has The Office: Season 9 in the works, and if you’ve been waiting to cap off your collection or just want to own the season so that you can watch the epic finale whenever you want, you’ll be able to buy a copy on Blu-ray or DVD beginning on September 3. It’s a little surprising that the Season 9 news is coming a little late and with little fanfare, but since Universal Studios Home Entertainment’s TV set is more for avid fans of the series than anyone else, I guess none of that stuff matters. The good news is that we do have a look at the cover art for the set, which goes a long way to explain how much the cast has expanded and changed by the time Season 9 hit the airwaves. 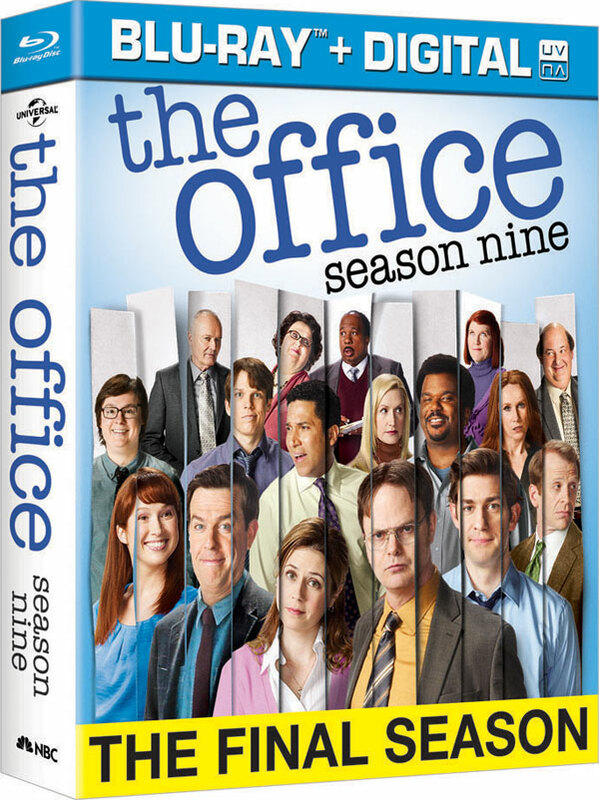 The popularity of The Office can also be seen in the fact that the studio is giving the series a Blu-ray release. HD quality picture isn’t necessary for the enjoyment of a comedy, and many network programs in general don’t get Blu-ray releases, much less an added UltraViolet copy of the season. Some of the show's biggest actors may have moved on to new and exciting projects, but it's sort of nice to know that we'll be able to return to the episodes again and again, even if a home entertainment set is not a rare event. The Dunder Mifflin-based cast goes through a lot of changes in Season 9, leading up to the airing of the documentary that followed the cast around for nine whole years and the sentimental ending episode that pleased many but not all fans of the show. Additionally, the season saw some cast members change jobs while other found their lives going in new and interesting directions. According to press release, the set will come with a slew of bonus features, including the YouTube video for Autotune Andy that plagued the character in the latter bit of the season. Long-time fans of the series will also be pleased to see the segment “A Look Back,” which should make viewers feel even more nostalgic about the series than they probably already do. You can pre-order the final installation of the series, now, or check out the full list of extras, below.